Recent results from a two-year study at the Western Agricultural Research Center of The Ohio State University demonstrate the yield and quality trade-off. We harvested alfalfa every 21, 28, 35, or 42 days resulting in a total of six, five, four, and three cuttings per year, respectively. Total annual yield increased as cutting interval was delayed up to 35 days (four-cut schedule), but then yield decreased if the alfalfa was cut every 42 days when only three-cuts per season were taken. With less frequent cutting, forage neutral detergent fiber (aNDF) increased and fiber digestibility (NDFD, 48-hour basis) decreased. This was no surprise. Most dairy producers in our region are harvesting on about a 28-day schedule. When we cut alfalfa every 35 days versus every 28 days, yield increased by half a ton per acre (8.5 percent), NDF increased 2.7 units, and NDFD declined 3.5 units. So can you afford that decrease in forage fiber quality for a seven-day delay in cutting schedule, knowing that your yield will likely increase? Many factors need to be considered. On many dairy farms, straw is being fed to cows because adequate fiber is lacking in the ration. Instead of adding straw, why not provide more of the necessary fiber by cutting alfalfa a little later? This might work in your ration, plus you will get higher forage yield. Overall harvest costs will be lower because you will likely harvest one less time per year. There will also be less traffic damage on the alfalfa. Having said all this, we now have a way to maintain adequate alfalfa forage quality even with delayed cutting schedules. Alfalfa varieties have been developed that contain less lignin, which have the potential to add harvest timing flexibility to your forage operation. A team of scientists from Forage Genetics International, the US Dairy Forage Research Center, and the Noble Research Institute were able to genetically modify alfalfa to reduce the activity of one enzyme in the lignin biosynthesis pathway. 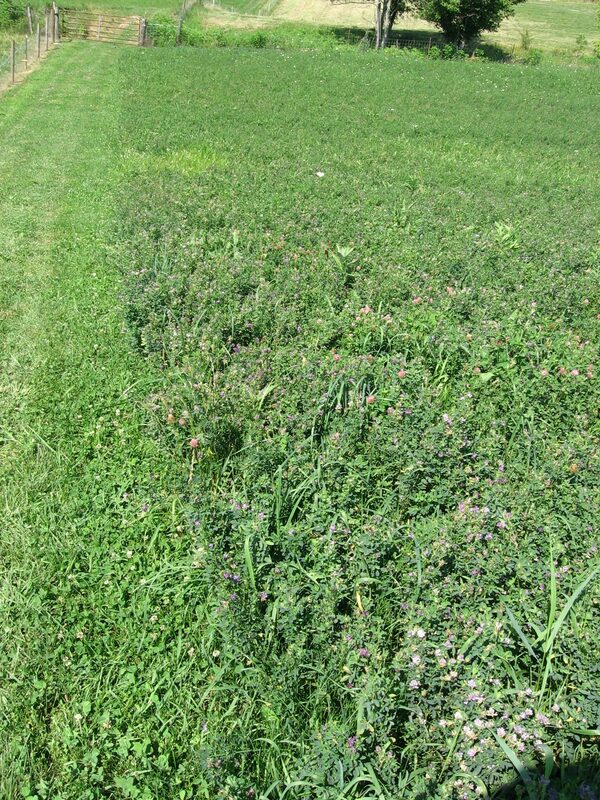 The result is alfalfa forage with reduced lignin content. Lignin is indigestible by ruminants, so less lignin means higher fiber digestibility and improved dry matter intake by ruminant animals. This reduced lignin technology is being commercialized as HarvXtra Alfalfa combined with Roundup Ready Technology. There are currently six HarvXtra Alfalfa varieties being marketed. Over the past two years, we have been evaluating this new technology along with scientists in five other states (Pennsylvania, Ohio, Michigan, Wisconsin, California). Data analysis and summary of the results is in progress. The University of Minnesota just published results from a separate study of HarvXtra Alfalfa, evaluated at four locations in Minnesota. The findings of that study are encouraging and similar to our findings. In the Minnesota study across all harvests, the HarvXtra Alfalfa variety had 8 percent lower lignin content and 10 percent higher NDFD content compared with three alfalfa varieties without the reduced lignin trait. The NDF content, crude protein content, and forage yield were similar among all varieties. 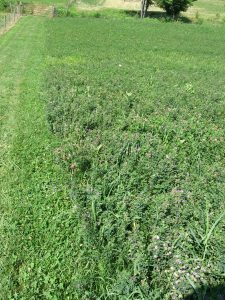 Minnesota researchers concluded that the HarvXtra Alfalfa would allow producers to obtain a higher quality and more digestible forage when it is harvested on the same schedule as other standard varieties. In the Minnesota study, they evaluated the alfalfa varieties at different harvest intervals. When HarvXtra Alfalfa was cut on a 35-day interval, it had a 21 percent gain in forage yield but only a 3 percent reduction in relative forage quality (RFQ) when compared with the other varieties that were cut on a 30-day interval. The University of Minnesota research showed that using HarvXtra Alfalfa could reduce the forage quality penalty that is associated with a five-day delay in harvest interval. In other words, HarvXtra Alfalfa offers producers more flexibility in cutting schedules. Preliminary analysis of the results across the six-state study I’m involved with shows similar trends for HarvXtra Alfalfa as those reported in the Minnesota study. In fact, our results show that HarvXtra Alfalfa can be harvested up to 10 days later with the same forage quality as other varieties harvested 10 days earlier. 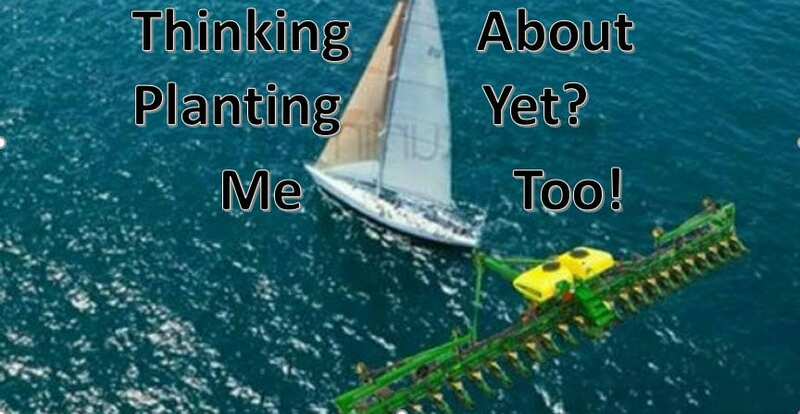 I would like to come back to my original question: Can you afford to cut alfalfa later? Producers in this region should take a hard look at their rations and the economics of harvesting alfalfa four times rather than five times. Preliminary economic analysis of our research data demonstrates this will pay off, but producers need to look at their particular situation. The economic picture for cutting alfalfa less frequently becomes even more positive if HarvXtra Alfalfa is used. There is the potential to achieve the same forage quality as you are accustomed to achieving, but with less frequent harvests when you grow HarvXtra Alfalfa. This should result in higher yields, less cost (yes, even when considering the seed cost of HarvXtra Alfalfa), less compaction damage on the stand, and perhaps longer stand life of the alfalfa. Posted by Sabrina at 8:19am Posted in Forage. Bookmark the permalink.